In 1907, James E. Casey founded the company after borrowing $100 from a friend. Over a hundred years later, UPS has become a global giant in shipment and logistics, delivering around 4.1 billion packages and documents a year. A leader in international trade, UPS services are available in over 220 countries and territories. For over 40 years, FedEx has been connecting the global economy with its expansive portfolio of domestic and international shipping services. FedEx offers Express, Ground and Freight deliveries worldwide to more than 220 countries and territories. The company’s now-famous logo was redesigned in 1994 by Lindon Leader and includes a proprietary font that constructs a natural “hidden” arrow between the letters E and x. Credited with the first commercially available postage meter, Pitney Bowes has become an industry-leading technology company offering USPS postage meters and other equipment/services since 1920. The company has expanded its scope and was most recently named leading vendor to the Top 1000 e-retailers for international e-commerce and fulfillment technology in the 2018 IR1000 Vendor Report published by Internet Retailer. Alexander (A.) Duie Pyle, the product of a Coatesville, Pa., farm and the state’s famed steel industry, valued the integrity and principles of working on a farm, and his values have served him well as the company has been family-owned and operated for more than 92 years. Focused on creating a high level of service for customers, A. Duie Pyle has its own driver training academy and 2,500 employees. The company provides regional logistics and truck transport from Maine through Virginia via a 22-terminal network. Owned and operated by the Dove family since its foundation in 1955, AAA Cooper Transportation primarily provides LTL services to the Southeastern United States. International services include cross border delivery to Canada and Mexico, and ocean service to ports worldwide. AAA Cooper Transportation was awarded the Unishippers’ Regional Carrier Partner of the Year for 2013. 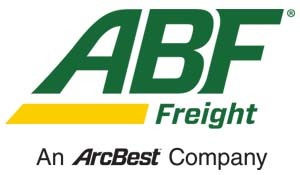 ArcBestSM carrier ABF Freight® operates a less-than-truckload (LTL) network across North America to provide seamless transportation services in short-haul and long-haul markets. ArcBest customers can trust the superior LTL solutions ABF Freight has provided for nearly a century and rely on them to consistently deliver the shipping services they need. In 1958, Averitt began as Livingston Merchant’s Co-op and was incorporated as Averitt Express in 1969. The company’s founder sold the company to a 20-year old dock worker named Gary Sasser in 1971. The small trucking company grew from three tractors and five trailers to being a national leader in freight transportation and supply chain management. DHL Express offers worldwide shipping services, reliably delivering time-sensitive international shipments to most countries. The company’s versatile offering of delivery options, such as International Express Delivery, provides solutions from emergency same day delivery to less critical delivery options. DHL Express is a division of Deutsche Post, the world’s largest operating international logistics company. Enterprise TMS, formerly Freightview, is a transportation management system that can be leveraged to support a wide range of LTL carriers as well as Freightquote (3PL). Provides access to a wide range of carrier rates and transit times with powerful reporting tools to analyze freight spend. Estes shipping offers a complete range of domestic, international, and offshore LTL services. Started in 1957 with one Chevy truck, Estes is now a worldwide transportation company with a legacy of continued service improvement and customer loyalty. The company’s international service area extends to Canada, Mexico, and around the world. As the leading online freight broker in the nation, Freightquote has continuously expanded since its creation in 1998, providing rate comparisons for hundreds of U.S. freight carriers. The company’s technology was developed and patented so that shippers can find the best real-time rates and track freight online. Freightquote facilitates the transport of over 1 million shipments per year. Holland, also known as “The Big Dutch Fleet”, was founded in 1929 in Holland, Michigan, originally delivering agricultural goods to Chicago and returning to West Michigan with farming supplies. Part of YRC Worldwide since 2005, Holland provides LTL service to the Central, Southeast, and Midwest portions of the United States. Holland was named Carrier of the Year by Supply Chain Solutions in 2012, and LTL Carrier of the Year by BASF in 2013. New Penn provides direct next-day service to the Northeastern United States, Quebec, Canada and Puerto Rico. It is an operating company of YRC Regional Transportation. In 2013, New Penn received the Logistics Management magazine “Quest for Quality” award for Performance Excellence in the Northeast/Mid-Atlantic Regional LTL Motor Carriers category. Primarily shipping consumer goods, Old Dominion Freight Lines is the 6th largest LTL company in the U.S. The expanse of its service network and a concentration on maximizing freight density have given ODFL one of the highest operating profit margins among public LTL companies. The company continues to streamline the supply chain process with its commitment to technology. OnTrac has expanded its services from California, where it was founded in 1991, to encompass the largest 8 states in the Western U.S., and serves more than 60 million consumers. OnTrac provides time in transit and cost savings for high volume parcel distributors and Internet-based retailers. The company continues to lead in regional overnight package delivery and in 2011 celebrated 20 years of service. Pitt Ohio understands how the nature of LTL/TL shipping impacts the environment and is dedicated to “the three P’s (People, Planet, Profit)” as an integral part of their sustainability policy. Charles Hammel Sr. started in the transportation industry with Hammel´s Express in 1919, which consisted of a horse, a buggy and one customer. Since then, Pitt Ohio has expanded its service offerings over the past 35 years, passing down core values and business practices from generation to generation. R+L Carriers provides LTL, TL, and Logistics services to all 50 states, as well as Canada, Puerto Rico, the U.S. Virgin Islands and the Dominican Republic. In business for over 40 years, the company transports an average of 20,000 shipments per day with a fleet of about 13,000 tractors and trailers. R+L Carriers has been the official sponsor of the New Orleans Bowl, an NCAA post-season college football game, since 2006. With over 50 service centers and 3,000 employees, Reddaway remains the oldest continuously operating freight carrier in Oregon. Serving the Pacific Northwest since 1919, Reddaway became part of the YRC family in 2008 and now provides regional delivery in 12 western states and British Columbia. Reddaway was recognized for performance excellence by Logistic Management with a 2013 Quest for Quality award — an award they have received for the past 20 years. Roadrunner Transportation Systems is a leading supplier of asset-light transportation and supply chain solutions, and offers LTL, TL, expedited, international air, and a wide range of other services. In 1998, the company began in a small office with three employees. Working with many of the top food companies in the US, they have now transported over 25,000 loads throughout the US and Canada. One of the most successful LTL carriers in the U.S., Saia provides regional and interregional LTL services to a wide range of customers, including the retail, chemical, and manufacturing industries. Consistently expanding coverage from its one Louisiana terminal at its beginning in 1924, Saia now serves all of North America, including Canada and Mexico, and Puerto Rico. SMC³‘s innovative products and services deliver carrier management tools that optimize shipping costs and transportation risk. The company began as the Southern Motor Carriers Rate Conference in the 1930’s, growing with the changing LTL market and focusing its expertise on technology. SMC3 remains committed to research and development, and solution delivery through integrated technology systems. SMC3 produces the annual “Jump Start” conference, one of the U.S. supply chain’s largest senior level events. Attendees are comprised of a wide range of carriers, shippers, third-party logistics providers, and technology/solutions providers from across North America. Southeastern Freight Lines is not only a leader in LTL transportation, but a standout in the community. SEFL donates time, money, and resources through its national Southeastern Serves program. In recent years, associates took part in everything from food drives and soup kitchens to providing school supplies, and helping a wheelchair-bound woman raise enough money through recycling to buy a handicap-accessible truck. SEFL specializes in next-day LTL services in the Southeast and Southwest. They have received the Logistics Management’s 2013 Quest for Quality Award (South) for 30 years in a row. Spee-Dee is a regional same-day and overnight service carrier offering ground rate prices. Its philosophy has always been to offer better services at a lower price. Started as a one-man courier service 35 years ago, Spee-Dee now has 1800 employees servicing North Dakota, South Dakota, Nebraska, Minnesota, Iowa, Wisconsin, Illinois, and the St. Louis Metro Area. The company recently expanded its Sioux City presence, tripling its office and distribution space and creating new jobs. XPO Logistics (formerly Con-way) is a top ten global provider of transportation and logistics solutions. They provide services for truck brokerage and transportation, less-than-truckload, intermodal, highly-engineered supply chain solutions, contract logistics, last mile, expedite, global forwarding and managed transportation. YRC Freight is a comprehensive network of shipping companies offering industrial, commercial, and retail shipping services. Started by the Harrell brothers as Yellow Transit Freight Lines in 1929, the company was fundamental in evolving the idea of consolidating small freight shipments into trailer loads. The color of their trucks, “Swamp Holly Orange”, was chosen in order to improve highway safety, being the most visible from the greatest distance. YRC Freight is the product of the 2003 merger of Yellow Transportation and Roadway, and is the largest subsidiary of YRC Worldwide Inc.
Freightquote’s launching of its transportation management system, Freightview, in 2009, changed the way shippers manage freight by automating the process and making it more cost efficient. Freightview boosts freight shipping productivity and economy in both time and budget, allowing shippers to easily choose the best carrier for every shipment.